Reminiscent of the rugged yet comfortably soft footwear sought by Nepalese sherpas, these are the lady’s lace-up booties that snuggle the entire foot and ankle in luxurious softness and warmth. 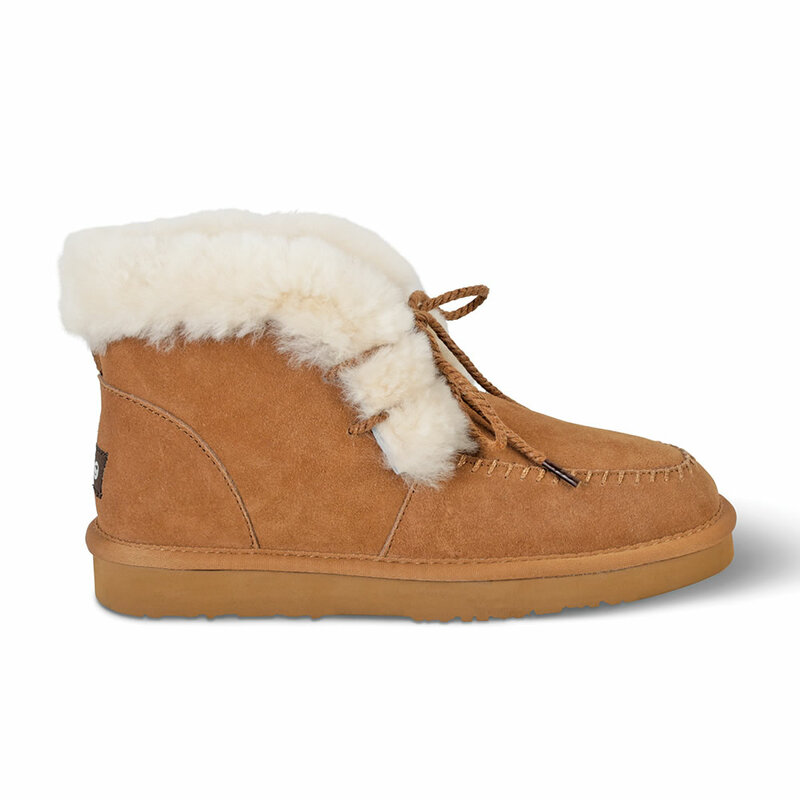 For indoor/outdoor wear, they are made from genuine Australian sheepskin with plush shearling interiors and collars that cover the ankles while the 5"-high uppers are made from premium sheepskin suede. 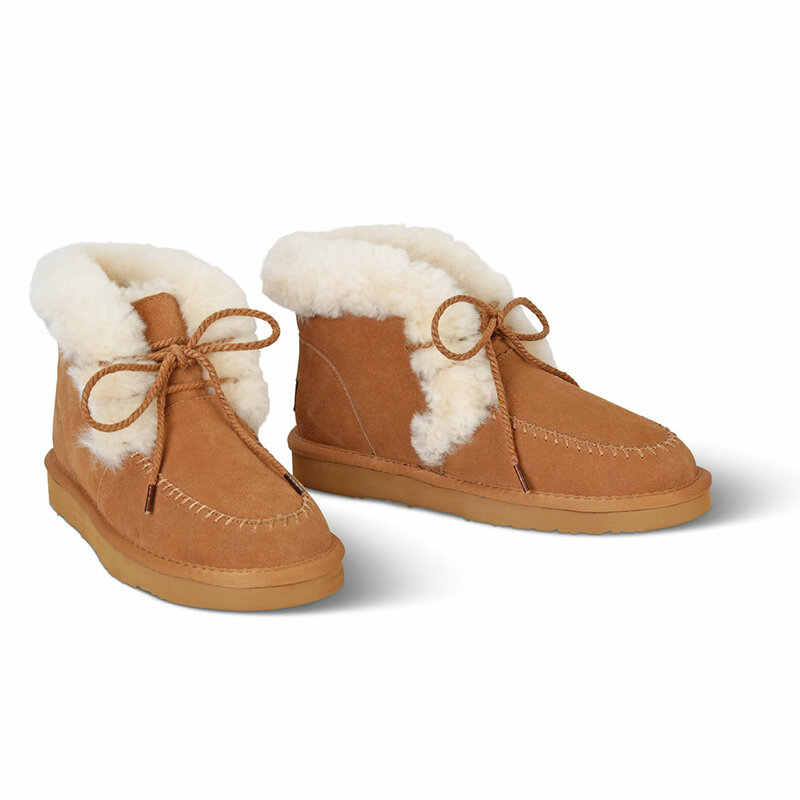 Shearling’s dense, breathable structure is renowned for insulating while wicking away moisture, so feet stay cozy year-round. 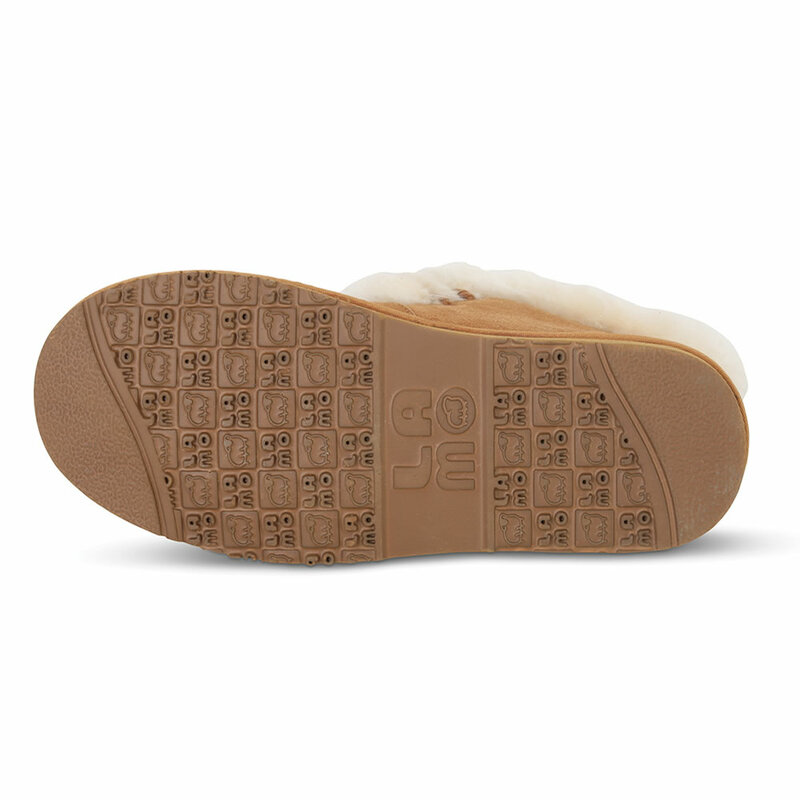 With textured thermoplastic rubber soles and insoles cushioned with memory foam for comfort while standing and walking. Chestnut. Women’s sizes 6-10. 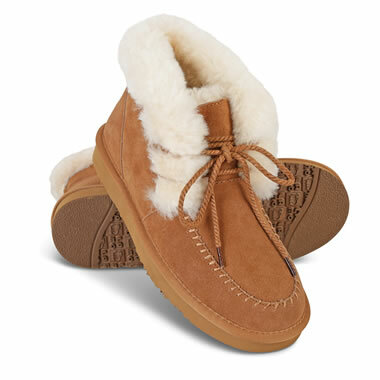 The Sherpa's Sheepskin Booties come with The Hammacher Schlemmer Lifetime Guarantee. Items that we sell are guaranteed for their normal life under standard non-commercial use.